Note: Content might be outdated! Honestly, I have no idea how I could not have found this during research for my WCEU talk on plugin UI. 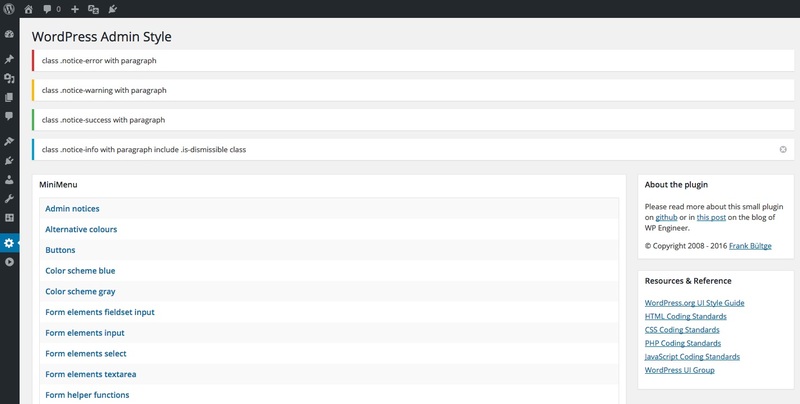 Anyway, here it is: Frank Bültge’s WordPress Admin Style plugin—an amazing head start on your own plugin UI when you aim to employ default styles of WP Admin. Previous Previous post: When is a WordCamp a WordCamp? Next Next post: What is Support?